Happy New Year from all of us at Critical Distance! We are pleased to invite you to the opening of our WINTER 2019 exhibition, PUBLIC SYNTAX: SAW Video at CRITICAL DISTANCE. We hope you can join us for a reception and tour with exhibition curator Neven Lochhead on Saturday, February 9th starting at 2 pm. Details below; please contact us at info@criticaldistance.ca if you have any questions. In partnership with SAW Video Media Art Centre (Ottawa), Critical Distance is pleased to present Public Syntax, an exhibition that highlights the distinct time-based practices and approaches of seven artists, as well as those participating in the Video in the Public Sphere Working Group, the majority of whom are either Ottawa-based or connected. Situated in-gallery at Critical Distance and across multiple public spaces at Artscape Youngplace, the works in the exhibition embody and expand upon the recent and ongoing programming initiatives of SAW Video and their Knot Project Space, launched in early 2018. Responding to Critical Distance’s mandate to advance curatorial inquiry and encourage collaborative frameworks, exhibition curator Neven Lochhead employs a conversational mode to form ‘syntactical’ relations between these various practices, identifying collective editing processes where the ‘sequence’ becomes a vector on which to group together. In the gallery and public spaces, artists in this exhibition generate affinities not through the question of where will we meet, but rather when will we occur? Please join us for the opening reception and a building-wide tour of the exhibition with curator Neven Lochhead, who will be here from Ottawa, on Saturday, February 9th starting at 2 pm. Admission is free as always, refreshments will be served and all are welcome. Artscape Youngplace and Critical Distance is fully accessible by Ontario standards, with a wheelchair ramp at the 180 Shaw Street doors, an elevator servicing every floor and a fully accessible washroom on every level. The nearby 63 Ossington bus on the TTC is wheelchair accessible. All stairwell installations will be viewable from accessible locations. Ivanie Aubin-Malo honours her Maliseet roots through dance. Upon graduating from École de danse contemporaine de Montréal in 2014 she was mentored and taught the Fancy Shawl Dance by Curtis Joe Miller. She has collaborated with renowned artists Marie Belzil from Moment Factory, Tanya Lukin Linklater, DJ KXO, Buffalo Hat Singers, Moe Clark, Barbara Diabo, Alexandre Morin and Soleil Launière. She has also choreographed and performed in Ktahkomiq by Ondinnok and Mito-Jogos de Recusa by Marcos Nery, presented at the SESC Festival in Brazil. Ivanie’s most recent piece called MULA was presented at Tangente in Montreal in November 2018. Henry Andersen is an artist whose projects typically centre on written text and evolve through open-ended collaborations with friends. He has presented work at kunstenfestivaldesarts (BE), La Loge (BE), Perth Institute of Contemporary Arts (AU), ZKM-Karlsruhe (DE), Damien and the Love Guru (BE), Beurrschouwburg (BE), and the 2017 Pune Biennale (IN). Recently, he released a record of spoken text, Stanzas or the Law of the Good Neighbor, with the Belgian label KRAAK. He is interested in poetry, architecture, and erotica, and is a founding member of the Slow Reading Club, with Bryana Fritz. Mara Eagle is an American artist based in Montreal working in a wide range of media including sound, video, sculpture and performance. She pulls intuitively from the world of pop-culture, the Internet, and technology industries to create enigmatic and often humorous work. Born in 1988 in Boston, Mara holds a B.A. from Marlboro College. After attending the Chautauqua School of Art in New York state, she moved to Montreal in 2012 where she is currently an M.F.A. candidate at Concordia University. Her research has been generously supported by the Elizabeth Greenshields Foundation, the Social Sciences and Humanities Research Council of Canada (SSHRC), the Fonds de recherche du Québec – Société et culture (FRQSC), and the Berggruen Institute. Phil Rose is an Ottawa/Gatineau-based media artist. His works involve single-channel videos, installation work, and photography. He has served on the boards of Saw Video and Daïmõn and was the coordinator of the Available Light Screening Collective for more than fifteen years. Currently, he is the owner of Cinetronic and has worked with media artists, non-profit organizations, and documentary producers in a variety of production-related areas. His work has been exhibited in Canada and internationally. Molly Teitelbaum is a Canadian filmmaker and visual artist from Ottawa. Her work explores being a woman in the 21st century by shedding light on female-oriented concerns, preoccupations, and desires of the moment. She was a participant at the Skowhegan School of Painting and Sculpture (2015), an artist in residence at The MacDowell Colony (2016), and Yaddo (2017). She holds a BA in Art History and Political Science from McGill University (2013), and an MFA from Parsons (2015). She is currently based in New York City. Anna Queen is an interdisciplinary artist working in sculpture and video. She graduated in 2013 from Maryland Institute College of Art earning a Bachelor of Fine Arts in Ceramics. In 2015 she was a participant at Skowhegan School of Painting and Sculpture. Anna has been a Resident Artist at Anderson Ranch Arts Center, Vermont Studio Center, and The Banff Centre. Her work has been shown at Firecat Projects, Chicago, FAB LAB DC, The Clay Studio in Philadelphia, and Page Bond Gallery. She currently lives and works in Rockland, Maine. The Video in the Public Sphere Working Group is comprised of five Ottawa-based artists — Pansee Atta, Sasha Phipps, Ryan Conrad, Helene Lefebvre, and Maayke Schurer — each of whom have been commissioned to produce a new work to be projected large-scale on preexisting architectural facades in Summer/Fall 2019 as an extended exhibition. In lead-up to these public installations, the group of artists is engaging with the program’s Resident Critic, Malini Guha, as well as the program’s visiting lecturers, in discussions and exercises that are examining the complexities of ‘publicness’ through contemporary concerns. Neven Lochhead is an artist and curator based in Ottawa, where he has worked as Director of Programming at SAW Video Media Art Centre since January 2017, programming exhibitions and events at Knot Project Space. In 2016, Lochhead completed his MFA in Art Video from Syracuse University, a period in which he also worked as Technical Assistant for Urban Video Project at the Everson Museum of Art. 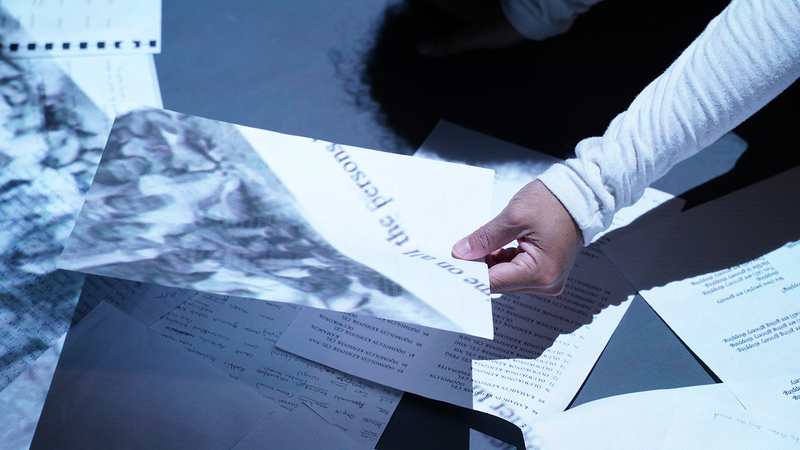 Recent projects include a collaborative video It Filled Our Minds Completely (2018) with artist and writer Gary Kibbins, a commissioned video and text for Modern Fuel’s Syphon publication about artist-run culture (2017), and working as camera operator and editor for Tanya Lukin Linklater’s video installation The Treaty Is In The Body, commissioned by the Winnipeg Art Gallery (2017). SAW Video is a not-for-profit, artist-run media art centre that fosters the growth and development of artists through access to equipment, training, mentorship, and programming. Our mission is to support a diverse community of media artists empowered by technology, programming and the exchange of ideas. SAW Video’s core principles are independence of expression, affordable access to all, and paying artists for their work. SAW Video values diversity and actively promotes equity for all artists regardless of race, age, class, gender, sexual orientation, language, or ability. Critical Distance is a not-for-profit project space, publisher, and professional network devoted to the support and advancement of curatorial practice and inquiry in Toronto, Canada, and beyond. With a focus on critically engaged, collaborative, and cross-disciplinary practices, underrepresented artists and art forms, and community outreach and education in art and exhibition-making, Critical Distance is an open platform for diverse curatorial perspectives, and a forum for the exchange of ideas on curating and exhibition-making as ways to engage and inform audiences from all walks of life. Image: Ivanie Aubin-Malo, Où sont les ancêtres? Performance still. Photo by Mathieu Rioux. Knot Project Space, 2018. Artscape is a not-for-profit urban development organization that makes space for creativity and transforms communities, established in 1986. ©2013 Artscape. All Rights Reserved.